SIXTY-seven people across Northern Ireland were killed by their partner, ex-partner or a family member, according to police records covering the last 10 years. Details of the murder and manslaughter of both adults and children - recorded by the PSNI in the decade between 2005/06 and 2014/15 - have been released to Detail Data in response to a Freedom of Information request. The domestic killings make up 27% of the total homicides (248) recorded by the PSNI in the decade covered by our request. And as the Northern Ireland Assembly continues to stall on the publication and implementation of the long-awaited new Domestic and Sexual Violence and Abuse strategy, a further 28,287 incidents of domestic abuse were reported to the police during the 2014/15 financial year. This equates to 77 incidents reported every day. Or three every hour. • Six separate murders - five women and a male child. • 449 sexual offences including 176 rapes. • 116 cases of cruelty to children/young people. Over a quarter (28%) of the victims of known domestic abuse crimes in 2014/15 were male. 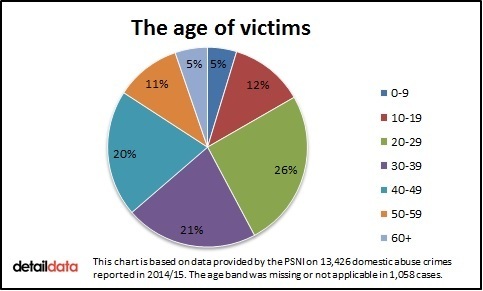 Today Detail Data is reporting on the decade of killings and also looking in depth at the last year of domestic abuse incidents recorded by police officers across Northern Ireland. We have interviewed staff and women living in a Women's Aid refuge to escape violent partners. And another woman, who we have named ‘Jane’, tells her story of escaping from an abusive relationship through emotive photographic images. To read Jane’s story, click here. The photographs of objects from her home, taken for this Detail Data project, will be on display at Queen's University in Belfast at the European Conference on Domestic Violence from today until September 9th. It is important to stress that the figures we are reporting on today only tell part of the story as not all cases are reported to the police. The PSNI has urged anyone suffering from domestic abuse to “pick up the phone and make it stop”. Meanwhile, the head of the Women’s Aid refuge we visited told us that it is “an absolute disgrace” that refuges for women escaping from violent partners in Northern Ireland are full 365 days of the year. Health Minister Simon Hamilton told Detail Data that the domestic abuse strategy has been endorsed by his department’s top management group but added that consideration is now being given to how the strategy’s aims may be progressed “in the exceptionally difficult financial environment we all face". The strategy - which is the government vehicle for reducing the incidents of domestic and sexual violence and abuse as well as providing support for victims - must also be approved by the NI Executive. Sixty-seven domestic homicides were recorded by the PSNI between 2005/06 and 2014/15. Thirty-six females and 31 males lost their lives to current or former partners or family members. The death toll includes adults and children, with 13 children in the youngest age category of 0 to 9-years-old. For each case, we requested the date of the death, the victim’s age and gender, the occurrence address, the police area and the outcome of the police investigation – which is correct as of July 17th 2015. Click on the interactive map at the top of this article to read more details on each death. Omagh was the PSNI area with the most domestic homicides recorded during the 10 year period covered by our request. Nine people were murdered by partners, ex-partners or family members – this includes the six members of the McElhill family who died in a fire started by Arthur McElhill in November 2007. He also died in the blaze. Fermanagh followed with seven separate domestic murders of two children aged 0-9 (boy and girl), a young boy (aged 10-19), three men (two aged 30-39 and one 40-49) and one woman aged 60 or over. Out of the 67 deaths, a charge or summons resulted from 48 cases. The data states that the offender in four cases died before proceedings and in one case no prosecution was directed. The detection category was blank in 14 cases – including the six McElhill deaths. Some others may still be being considered by the Public Prosecution Service. No prosecution was directed in the case of the manslaughter of a male child (aged 0-9) in South Belfast in July 2008. There can be a time gap between the date of death and the date the circumstances are established as homicide – in rare cases this can be many years later. We know two deaths recorded in the last decade occurred in 1991 and another woman was murdered in 2002. Lesley Howell and Constable Trevor Buchanan died in May 1991 in Coleraine and their deaths were made to look like a suicide pact. Their deaths were only recorded as murders when Lesley’s husband Colin Howell confessed to their deaths in 2009. Both he and Trevor Buchanan’s wife Hazel Stewart were found guilty of their murders. The PSNI’s electronic crime management system began recording crimes in April 2007 so the month, year and location are not available for homicides recorded in 2005/06 and 2006/07. We were told that providing information we requested on the victim/offender relationship and whether or not a child was present at the time of the death would put our FOI request over the cost limit. Justice Minister David Ford has told Detail Data that work to develop “an appropriate model to identify lessons learned and improve response to cases of domestic homicide in Northern Ireland” is due to begin in the new year. Domestic abuse continues to take place on a daily basis with a total of 28,287 incidents reported to the police in Northern Ireland during the 2014/15 financial year. Many other incidents are likely to go unreported. A detailed breakdown of all reported incidents was provided to Detail Data in response to a Freedom of Information request. This enabled us to closely examine a year of domestic abuse. We last examined similar data for the 2012/13 financial year – see here. For each case in 2014/15, we have been told the exact crime, the age category and gender of the victim, whether a file was sent on to the Public Prosecution Service, the month and year the offence was committed, the police area and the outcome of the PSNI investigation (correct as of July 17th). The graphic above gives a breakdown for each local PSNI area. Of all the incidents, 797 happened prior to 2014/15 but were only reported to the police in the last financial year. Not all domestic abuse incidents result in the recording of a crime and a single incident can involve multiple crimes. A total of 13,426 crimes were recorded in 2014/15 from 11,927 of the reported incidents. They include six murders, 28 attempted murders, 176 rapes, 7,446 assaults, 21 cases of kidnapping (women and children) and 116 cases of cruelty to children/young people. There were also 975 ‘other offences against the state and public order’ crimes. These are mostly breaching of non-molestation orders. No age or gender details are provided for these. One incident in South Belfast in April 2014 involved the assault of at least four people - adults and children. Of all the incidents recorded, 27% were sent on to the Public Prosecution Service (PPS) to be considered for prosecution. A file was forwarded to the PPS for 8,028 of the 13,426 recorded crimes. Of these, 242 resulted in a caution, 3,220 in a charge/summons, 8 discretionary disposals (victim opting for informal outcome eg. an apology or repair to damage) and 4 penalty notices for disorder. 4,554 were blank - some of these may still be being considered by the PPS. Of the 5,398 crimes not sent on to the PPS, 10 resulted in a caution, 222 had a charge/summons, 237 discretionary disposals and one penalty notice for disorder. The ‘detection category’ for the remaining 4,928 crimes not sent on to the PPS was blank. Twenty-eight percent (3,765) of the victims of domestic abuse crimes were male. This ranged from 42% of victims in Moyle down to 23% in North and West Belfast. 1,052 crimes were listed with gender "unapplicable" (mainly cases of breaching of non-molestation orders) and two cases had gender missing/unknown. Of the 12,368 crimes with an age recorded for the victim, the largest age category (26% - 3,156 people) was 20 to 29-years-old. Over 580 victims were aged nine-years-old or younger and 650 were aged 60 or older. Detective Chief Inspector David McBurney, from the PSNI’s Public Protection Branch, said: “Tackling domestic abuse is a priority for the PSNI. The number of reports of domestic abuse continues to rise and this tells us that people who may not have previously come forward are taking the courageous step and calling the police. “However, we also understand that behind every statistic is a victim and that those victims, both male and female, may have suffered abuse many times before calling the police or contacting other agencies for assistance and may feel reluctant to make a formal complaint. “We understand that it can be a frightening thing to call for help but victims can be assured that we will investigate all reported incidents of domestic abuse in a consistent and robust manner. 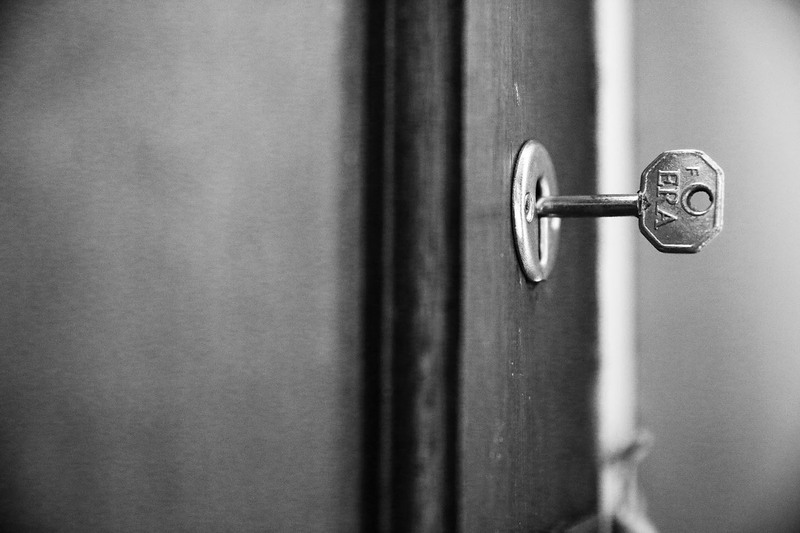 Detail Data visited a Women’s Aid refuge which provides temporary accommodation and support to up to 12 women escaping from abusive partners and their children at any one time. We were asked not to reveal the location of the refuge to protect the families living there. At the time of our visit, 12 women and 17 children were staying in the house – the youngest woman was aged just 19 and the oldest 67. Some will stay just one night and return home again, while for others the refuge becomes their home for a year or longer while they wait to be rehoused. The women have their own bedrooms and share communal living space. We spoke to two women living in the refuge. Our video above has disguised their appearance and voices to protect them from their ex-partners. One told us: “For years I had put up with beatings. I have been stabbed, my fingers have been broken. The last assault wasn't actually the worst, if that makes sense, but I just knew then that's when he was going to kill me. “When I reached the refuge I was six stone in weight because he controlled every aspect. He controlled what I ate. He controlled what I wore. He would have sat and ate and threw the crusts at me. The second woman said: “I know it broke his heart when I did leave because he thought he had me forever but I couldn't see the pain in my children's faces any more and that's why I left. Siobhan Graham, from Belfast and Lisburn Women’s Aid, told us: “I think the biggest mistake we make is assuming that the women that we work with in here have choices. There is an assumption that women could just leave. If that was that bad women would leave. Actually, women have learned to comply for their own safety. Siobhan said it is “enormous” for women to start to try and focus on themselves when their life has depended on keeping somebody else sweet and happy. “Their whole focus of attention has been on him all of the time,” she said. “It's very, very difficult to get her to tune into herself and start to think about what her own needs are, or even how she feels because she has survived by not feeling and numbing down everything. Siobhan feels much more needs to be done by government to deal with this issue. “I think it's an absolute disgrace that we are still sitting in refuges that are full 365 days of the year. When beds aren't cold and another family arrives in and you just have the right time possibly, sometimes not, to get that room sorted for the next family coming in. And people are okay with that? Against the backdrop of thousands of incidents of abuse occurring every year, an inter-ministerial group established at Stormont to address the issue of domestic violence hasn’t met in almost three years. In response to a recent Assembly question from SDLP MLA Dolores Kelly, the Health Minister Simon Hamilton confirmed that the Inter-Ministerial Group on Domestic and Sexual Violence last met in November 2012. A meeting scheduled for October 2014 was ‘postponed’. The inter-ministerial group, which had its first meeting in May 2008, has met only five times in total. The Detail reported on its poor attendance record in July 2012. Click here. Plans were in place to launch the new Domestic Abuse and Sexual Violence Strategy on March 25th this year but the launch was then delayed. Documentation obtained by Detail Data under Freedom of Information legislation shows that the launch was called off because the strategy had to go to the Department of Health’s top management group (TMG) for consideration and clearance. The Minister said that everyone in Northern Ireland has a right to be protected from domestic violence and abuse, and supported where it occurs. He added that reporting figures do not reflect the full picture as domestic abuse remains largely underreported, often happening behind closed doors. Mr Hamilton said that the inter-ministerial group (IMG) is at the heart of the “ongoing strategic vision” and that officials from relevant departments have contributed to the development of the strategy – which has “zero tolerance to violence and abuse at its core”. He did not provide a response to our question asking when the inter-ministerial group would next meet again. Domestic abuse experts have criticised the delay in putting a new domestic abuse strategy in place. Dr John Devaney, from Queen’s University Belfast’s School of Sociology, Social Policy & Social Work, said: “The publication of the first domestic violence strategy in Northern Ireland 2005 was a landmark moment. “It provided the framework for better connecting and co-ordinating the efforts of government departments and public bodies in supporting victims and holding the perpetrators of violence and abuse to account. Dr Devaney said we are in danger of losing some of the positive gains made, as well as missing out on the opportunity to introduce new ways of working. He continued: “For example, there are 6-7 people killed each year in Northern Ireland by a close family member. If we were living in England there would be a review on each of these deaths to determine how we could better protect future victims, but in Northern Ireland this is not an option. Professor Monica McWilliams from Ulster University spoke to Detail Data in advance of being one of the keynote speakers at the Queen’s University conference. She said: “There are a large number of domestic homicides in Northern Ireland for such a small place. “Domestic Homicide Reviews already take place in England to try and learn from cases and prevent future deaths but we have fallen behind here. “The domestic violence strategy is very, very important. There is a need to update the action they are taking. Things do change in this field in terms of who the abusers are and the kind of help that people are seeking. “The internet and social media are now a source of stalking and harassment and apps which say where people are and what they are doing are being used to follow people. “However, the tactics may have changed but the causes of abuse have not. It’s still about coercive control and using power to keep people in their place. We asked Justice Minister David Ford if he was still planning to introduce Domestic Homicide Reviews to Northern Ireland. He said: “DOJ have committed, under the proposed action plan for the new ‘Stopping Domestic and Sexual Violence Strategy’, to develop an appropriate model to identify lessons learned and improve response to cases of domestic homicide in Northern Ireland. We anticipate that this work will begin in the new year. In reference to the poor attendance record at the inter-ministerial group, Mr Ford said: “I am aware that the Inter-Ministerial Group on domestic and sexual violence, which I sit on, has not met for some time. “I would like to assure you that though the group has not met, officials have engaged with relevant Ministers and the IMG via correspondence on issues relating to domestic and sexual violence including the development of the new strategy and the outcome of the associated public consultation. You can access the PSNI's domestic abuse incident and crime data on Detail Data's Open Data Portal by clicking here and the domestic homicide data is available by clicking here. You can follow events at the QUB’s European Conference on Domestic Violence using the Twitter hashtag #ECDV2015. It runs from September 6th to 9th.